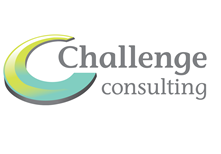 Planning, designing, mobilising and delivering organisational change: that’s what Challenge Consulting does. And it’s our goal to be the leading specialist firm delivering transformational change. We help organisations articulate why and how they need to change. In part it’s about careful design of a ‘new’ business but it’s also about the practicalities of major change and winning the hearts and minds of all those involved. Understanding your customers – do you know where you make or lose your money? And why? We’ll help you identify what it’ll take to profitably delivery customer value and ensure your organisation is optimised to make thing happen.